Thank you for stopping by the home of Fort Collins’ leading roofing contractor! We at Fort Collins Roofing Service are pleased to serve Fort Collins and surrounding areas, and look forward to providing you with the area's best in roofing services. We constantly strive to give Fort Collins, Loveland, Windsor, Wellington, Timnath, Laporte, Masonville and more the highest quality workmanship at a price you can afford. We have proudly served the area for a number of years now, and are consistently looking to do so for years to come. We began this company with the goal of being the best in the business. And that goal is consistently shown across our various offerings across the city of Fort Collins and surrounding areas. Our crews of dedicated and experienced roofers will put their accumulated years of experience to work for you, with the highest quality workmanship and professionalism that Fort Collins has to offer. Fort Collins Roofing Service is continually attempting to improve on our last job, bringing an increasingly raised level of service that has us aspiring to be the best. This constant need to improve brings you, the customer, the best level of service possible. As we move toward this goal, we would like to take the time to thank all of our past and future customers in the Fort Collins region, and extend our pledge to provide you with best possible service that you can take pride in. No matter what material your roof is made from, we are able to help you repair your roof in a timely and professional manner so that you don't risk further damage to your residential or commercial property. We are fluent in the most modern practices when it comes to asphalt, shingle, tile, metal, and other roofing materials. You can be sure that when you book a roof repair or roof replacement with Fort Collins Roofing Services, that your roof will be fixed properly based on the nuances of your material. Interested in custom roofing or non-standard materials? Give us a call, and we will work with you to develop a quote that is both affordable and smart. The basis for the success of our company rests on the various service packages we offer. We believe that quality workmanship speaks for itself, and that is evident when you look at any of our previous work. The level of skill and attention put into every project is apparent, and that is the quality we consistently bring to every worksite. Our unofficial motto states "If you're going to do something, do it right" and that shows in each and every one of our projects. 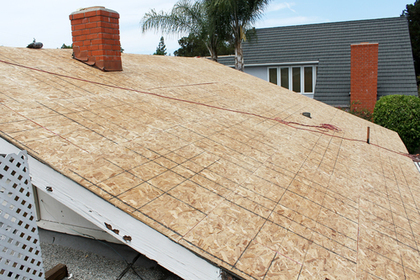 A full roof replacement can be either a difficult time or a pleasant one, depending on the circumstances. At Fort Collins Roofing Services, we do our absolute best in an attempt to make every job we undertake a pleasant experience. With timely and professional service, we endeavor to bring you a better roof to build your home under. For all your major and minor roof repairs in Fort Collins, our company has your back. With consummate professionals in their field, our roofing specialists are experts at diagnosing, and implementing repairs necessary to your roof. We ensure that you are aware and informed at all times, so as not to surprise with any added work. 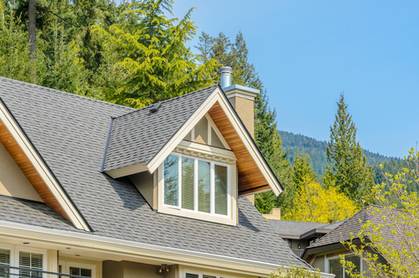 For those looking to add a little individuality to their roofs, Fort Collins Roofing service provides you with alternative materials guaranteed to make your home stand out in the neighborhood. From Metal roofing, to shingle and flat, our crews do it all, and do it well. The staple of our service offerings. 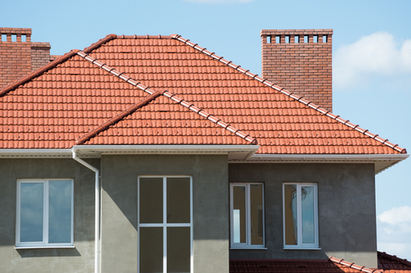 When it comes to servicing residential roofs, you will be hard pressed to find a company in the area that is as skilled, qualified or experienced as the crews at Fort Collins Roofing Service. Our company strives to deliver the best roofing service for your Fort Collins home without rival. If you have incurred any damage due to hail or stormy weather, you can trust in the workmanship of Fort Collins Roofing Service. We have plenty of experience in helping our Fort Collins clients deal with seeing to these unfortunate circumstances, and put all of our combined experience to work in getting you back to your normal life, and enjoying your home once more. When you need to make an insurance claim for your roof, getting the assessment from a professional service will go a long way when dealing with your insurance brokers. We have licensed assessors who will assist you with all your needs when it comes to filing a Fort Collins insurance claim. A skylight is a beautiful addition to any roof that brings you a beautiful view from inside your home. Our roofing specialists are experts at installation and repair of your skylights. Bringing a level of expertise unrivaled, our crews will see to your install and repair with a level of detail that will bring you joy. Enjoy the sun all day long with this beautiful and fully functioning addition to your roof. Call us today to get a FREE quote on your custom roofing service in Fort Collins, CO! For any further information on services offered, or to book a consultation for an upcoming project, please don't hesitate to call us any time. One of our phone representatives is waiting to take your call. You can depend on the highest level of service from every aspect of our company, and that begins with our phone lines. We look forward to hearing from you, and bringing our professional workmanship to you Fort Collins roofing project. Whatever your project, we've got you covered! Give us a call today or fill out the form above to get started with your free, custom quote!